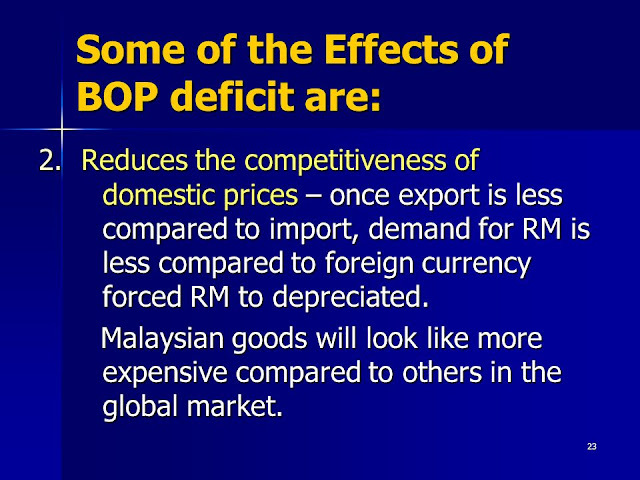 BUKIT LANJAN: Rising external debt, BoP deficit signs to investors to exercise caution! 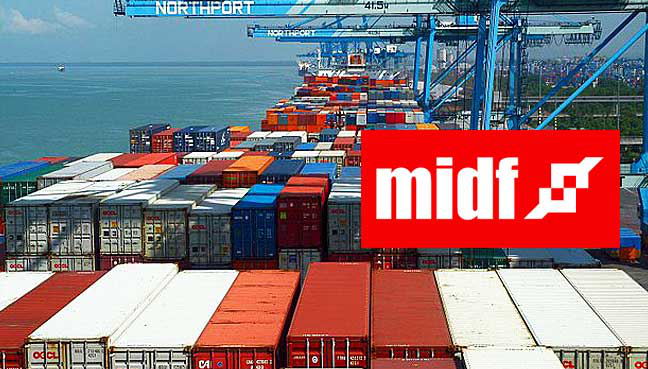 > EXPECTATION: The Malaysian Industrial Development Finance Bhd (MIDF) predicts Malaysia’s exports to grow 9.3% this year. > FACT: Malaysia's external debt rose to RM883.4 billion (US$215.5 billion) or 65.3% of Gross Domestic Product (GDP) as at end-December 2017, and that’s only RM116.6 billion short of RM1 trillion! What about domestic debt? 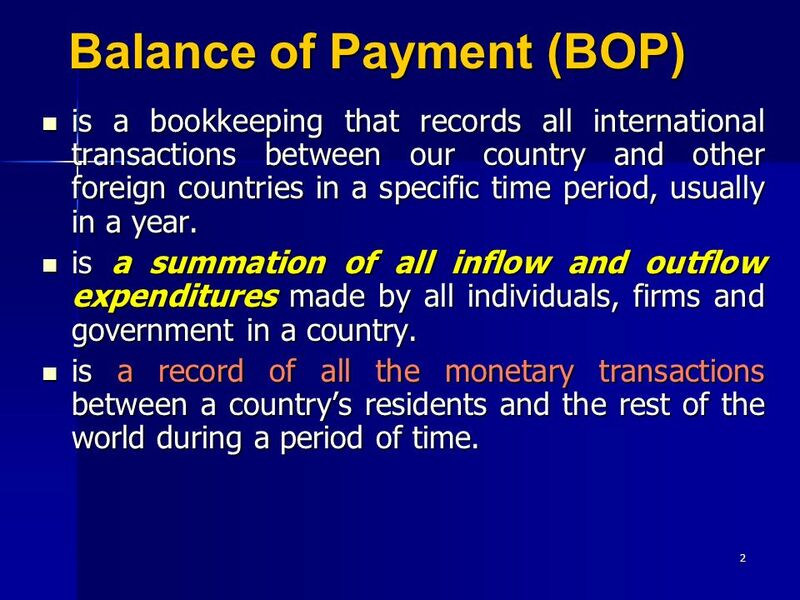 > FACT: Malaysia's overall balance of payments (BoP) in the fourth quarter of 2017 registered a deficit of RM13.1 billion in the fourth quarter of 2017 compared with a surplus of RM2.9 billion in the third quarter. 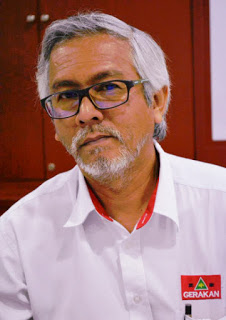 “While the MIDF expectation above concerns exports and may be achievable, last year’s rise of external debt is worrying,” Gerakan Deputy Speaker Syed Abdul Razak Alsagoff said. “And the fact that Malaysia’s BoP deficit also rose from RM2.9 billion to RM13.1 billion make it more acute for the country’s financial and economic performance,” he added. “While some may say MIDF’s 9.3% growth prediction may simply be just too optimistic, exports can rise for various reasons throughout the year. “However, given the sluggish global economy, as currently seen by the erratic markets in the US and China, it would be great to just see modest positive growth,” he added. 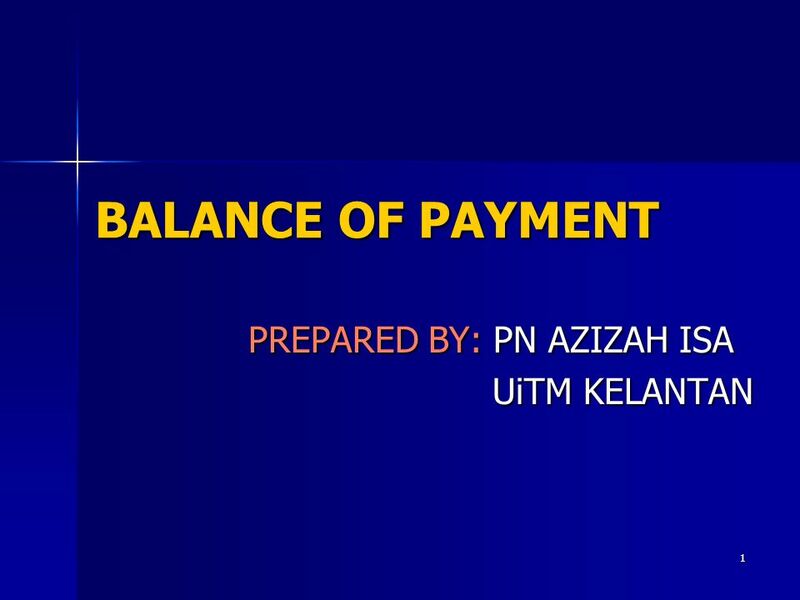 1 BALANCE OF PAYMENT PREPARED BY: PN AZIZAH ISA UiTM KELANTAN UiTM KELANTAN. 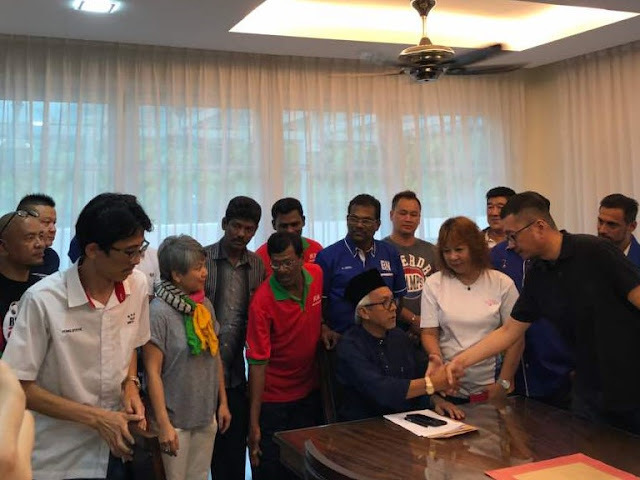 Syed Razak, who is Gerakan’s nominee to contest N.37 Bukit Lanjan in the coming 14th General Election (GE14), said last year’s statistics clearly advice “caution”, especially Malaysians who took “a too optimistic view” of both the domestic and global economies. The development finance institution says a stable labour market and uptick in wage growth will boost private consumption. 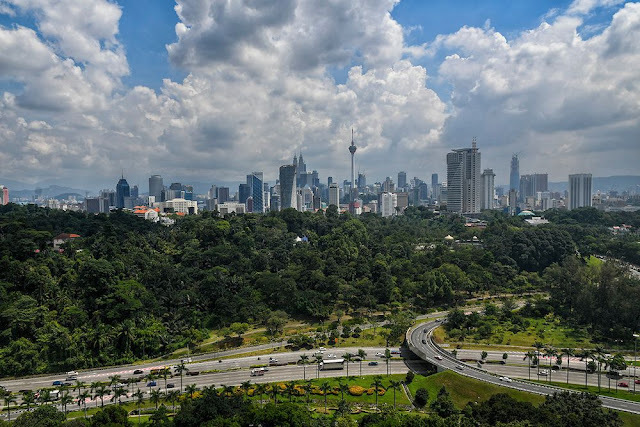 KUALA LUMPUR: Malaysia’s exports are expected to grow by 9.3% this year, mainly driven by demand from developed and emerging economies, says the Malaysian Industrial Development Finance Bhd (MIDF). The forecast came after the country recorded strong gross domestic product (GDP) growth in the fourth quarter of 2017, which was higher than market expectation. Bank Negara Malaysia yesterday announced a GDP growth of 5.9% for both the fourth quarter of 2017 and the full year, and maintained a favourable outlook for 2018. The economic growth was mainly due to private consumption and investment which recorded solid growth. A stable labour market and an uptick in wage growth also provided a boost to private consumption, MIDF said. The finance institution said a steady performance in services also reflected the domestic economy’s current upbeat momentum. 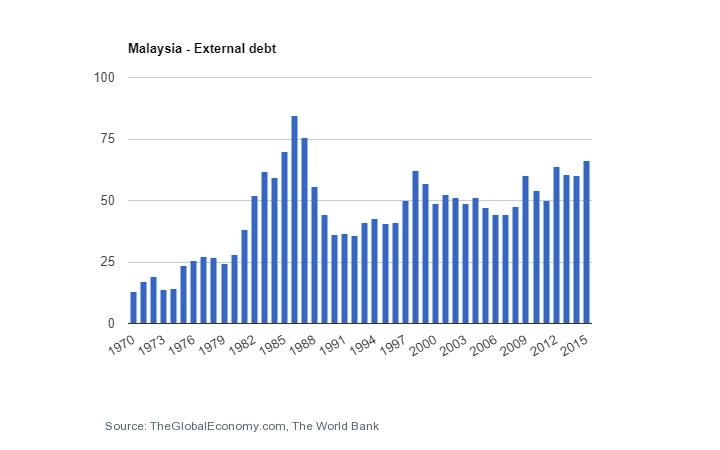 KUALA LUMPUR: Malaysia's external debt rose to RM883.4bil (US$215.5bil) or 65.3% of GDP as at end-December 2017 from the preceding quarter due to an increase in loans, interbank borrowing and non-resident (NR) holdings of domestic debt securities, says Bank Negara Malaysia. The Q4 debt increased from the RM873.8bil or US$204.7bil or 64.6% of GDP at the end-September of 2017. Bank Negara said on Wednesday the higher external debt was partially offset by valuation effects following the strengthening of the ringgit against selected major and regional currencies during the fourth quarter. “Malaysia’s external debt remains manageable given its currency and maturity profiles, as well as the availability of large external assets. 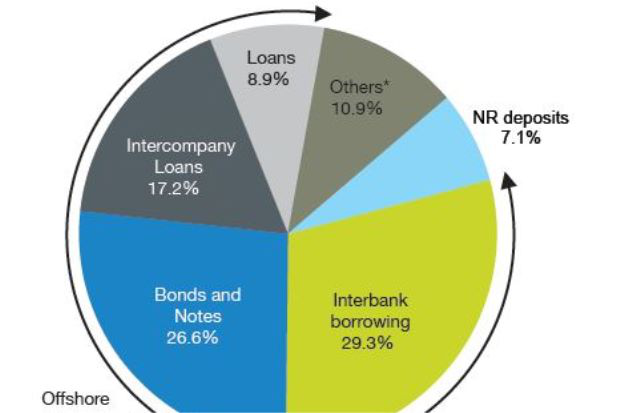 More than one-third of total external debt is denominated in ringgit (34.3%), mainly in the form of NR holdings of domestic debt securities and in ringgit deposits in domestic banking institutions,” it said. Bank Negara pointed out these liabilities were not subjected to valuation changes from the fluctuations in the ringgit exchange rate. It explained that the remaining external debt of RM580.7bil (65.7%) was in foreign currency (FC) and was subject to prudential liquidity management practices and hedging requirements on banking institutions and corporations. The bulk of these obligations are offshore borrowings, raised mainly to expand productive capacity and to better manage financial resources within corporate groups. “As at end-December 2017, the offshore borrowing remained low at 37.5% of GDP compared to 60.0% of GDP during the Asian Financial Crisis,” it said. Bank Negara also said of the total FC-denominated external debt (inclusive of valuation effects), more than one-third (or RM211.6bil) was accounted by interbank borrowing and FC deposits in the domestic banking system. “Long-term bonds and notes issued offshore which amounted to RM154.2bil as at end-December 2017, primarily to finance asset acquisitions abroad that will generate future income,” it said. It said from a maturity perspective, more than half of the total external debt is skewed towards medium- to long-term tenure (57.3% of total external debt), suggesting limited rollover risks. “Given the export earnings of borrowers and external assets, it is important to note that international reserves is not the only means for banks and corporations to meet their short-term external obligations. International reserves account for about a quarter of total external assets, with the remaining external assets being held by banks and corporations. KUALA LUMPUR: Malaysia's overall balance of payments (BoP) in the fourth quarter of 2017 registered a deficit of RM13.1bil in the fourth quarter of 2017 compared with a surplus of RM2.9bil in the third quarter. Bank Negara said on Wednesday errors and omissions, which included revaluation changes on the central bank's international reserves, amounted to -RM31.0bil or -6.7% of total trade. It said in Q4 of 2017, the financial account registered a net inflow of RM5bil, which was in contrast with the net outflow of RM1.2bil in Q3. 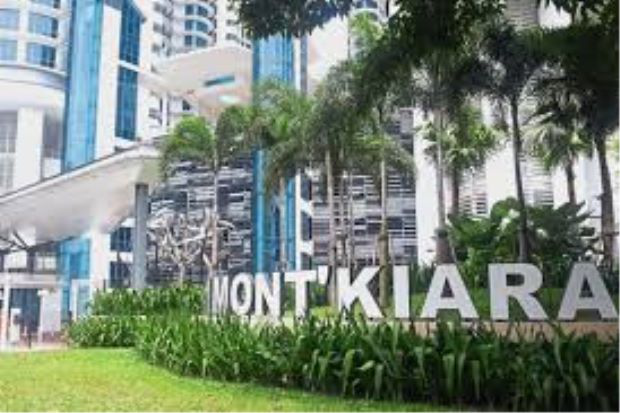 “This was supported by portfolio investment inflows by both residents and non-residents, foreign direct investments (FDI) and some liquidation of direct investments abroad (DIA) assets by Malaysian companies. “These inflows were partially offset by outflows arising from banks’ liquidity and treasury management operations,” it said. Bank Negara said the portfolio investment account registered a net inflow of RM11.7bil (Q3 2017: net outflow of RM5.1 bil), due mainly to non-resident portfolio investments, which recorded a higher net inflow of RM7.7bil (3Q: net inflow of RM3.7bil). “Better-than-expected economic performance, higher corporate earnings and improvement in global oil prices provided support to investor sentiments in the domestic financial markets,” it said. As for resident portfolio investments, there was a net inflow of RM4bil (3Q: net outflow of RM8.8bil), as domestic institutional investors liquidated some of their bond holdings abroad. It pointed out the direct investment account registered a net inflow of RM5.1bil (3Q: net inflow of RM6.2bil), due to continued FDI inflows and a reversal of DIA flows during the quarter. Bank Negara pointed out that FDI inflows were mainly in the services sector, particularly the real estate and wholesale and retail trade sub-sectors, followed by the mining and construction sectors. It also said the DIA by Malaysian companies also recorded a net inflow of RM2.3bil (3Q: net outflow of RM5bil), due to a net liquidation of equity capital and a net repayment of intercompany loans from subsidiaries and affiliates abroad. Sectors which recorded inflows were the mining and services sectors, particularly the financial services sub-sector. Going by an annual growth rate of 10.7%, Malaysia's debt could reach RM1 trillion by 2021 on excessive spending. – The Malaysian Insight file pic by Seth Akmal, February 17, 2018. HIGH interest payments, low government revenue and off-the-books bailouts of state firms have sparked concerns of a looming budget crisis in Malaysia, despite Prime Minister Najib’s Razak’s assurance that the country’s total borrowings was well under control, said Singapore’s Straits Times. Last month, Najib said Malaysia’s total debt of RM685.1 billion last year compared favourably against other countries, because they formed only 50.9% of the country’s economy, or gross domestic product (GDP). "Malaysia is better than developed countries such as Singapore at 112%, United Kingdom at 89.3%, Canada at 92.3%," Najib had been quoted as saying. However, he declined to explain that Singapore spent far less servicing their debt, using only 6.1% of its revenue in 2016. By comparison, Malaysia used 12.5% of its income on interest payments that year, according to Finance Ministry statistics. This year, Putrajaya is expected to pay RM31 billion in interest, more than double the amount paid in 2009 when Najib took over and when the government’s interest burden was less than 9% of its revenue, according to the ST report. This amounts to nearly all the personal income tax the government expects to collect, or more than two-thirds of its takings from the unpopular goods and services tax (GST), which it began collecting in 2015. Economists had said Malaysia's single-A-rated status, which means it has to borrow at higher rates compared with countries like Singapore, which are triple-A rated, would pose a further challenge to the government in lowering its debt interest payments. 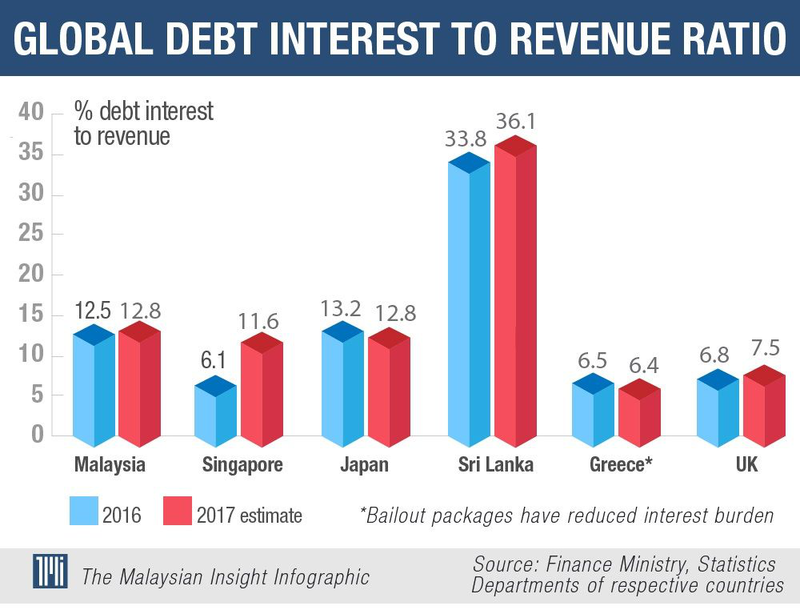 "Weak debt affordability, which we measure as the ratio of interest payments to revenues, has been a credit challenge for Malaysia ," Moody's analyst Anushka Shah told The Straits Times. Another concern is undisclosed, or “off-the books”, government payments to help ailing state firms. The government does not record these payments as debt service, but under obscure items, such as "strategic sector payments" and "other repayments". They are not included in the Budget, which means they are not accountable to Parliament. The Straits Times reported that this year, these items will cost the government RM8 billion, or 3.3% of revenue. One example of undisclosed payments is the National Higher Education Fund Corporation (PTPTN), which receives government grants worth nearly RM2 billion annually. National public transport firm Prasarana has also been receiving fresh capital injection from the government while still recording annual losses, which spiked to RM2.1 billion in 2016, in part due to RM644 million in financing costs. It is unclear how many other state firms are being assisted with their debt payments in this way, and for what purpose. In 2015, the Finance Ministry revealed it will spend between RM4.76 billion and RM11.62 billion annually to fund "off-balance sheet" companies. These outfits have collectively borrowed RM227 billion, which is guaranteed by the government. Former United Nations assistant secretary-general Jomo Kwame Sundaram had earlier told The Malaysian Insight that there was an urgent need for greater transparency and accountability in checking the amount of “off-budget” infrastructure spending. Jomo said high public debt, if left unaddressed in the long term, would put the country at risk of default. Recent media reports revealed that, going by an annual growth rate of 10.7%, Malaysia's debt could reach RM1 trillion by 2021 on excessive spending. By the same projection, Malaysia's debt could reach RM2 trillion in 2028 and RM3 trillion in 2032. – February 17, 2018. - The Malaysian Insight"